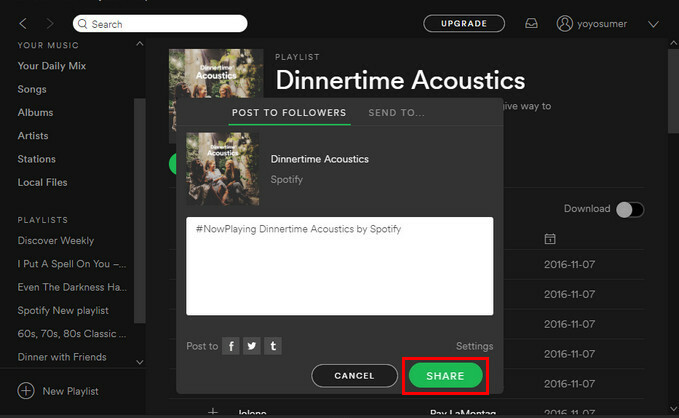 How to Create, Share and Download Your Spotify Playlist? Spotify, the giant of the online music streaming service platform, provides access to over 30 million albums and songs. Many people prefer to steam music on Spotify as its basic service is free with advertisements; what’s more, it’s easy to find many tracks that suit their taste from the huge library. One of the cool things you can do with Spotify is creating your own playlists and sharing these playlists with your friends, buddies or family. It must be great fun to see them all enjoying a playlist of tracks that you carefully create. This article will show you how to make, share and download your Spotify Playlist. 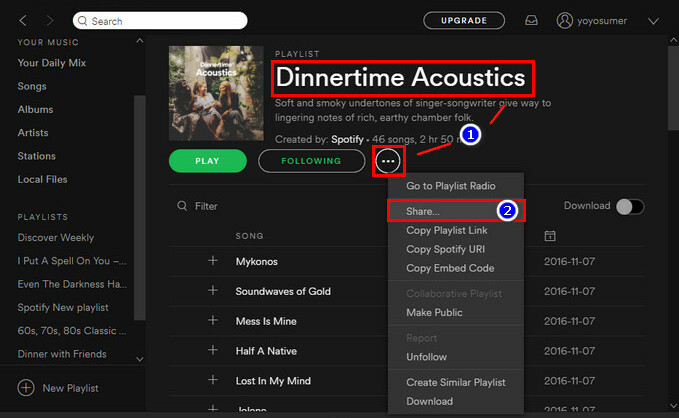 If you are new to Spotify, you can follow these tips and tricks. 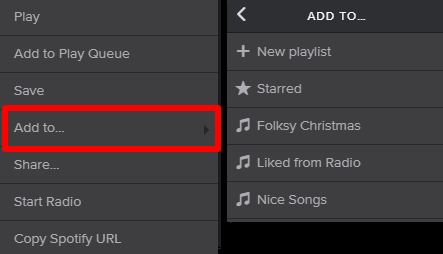 There are two ways to make a Spotify playlist. The first one is to find and click "New Playlist", then type a name for the playlist. The second one: Select any song or album by clicking on it or hovering your mouse over it. Click the three horizontal dots that will appear to the right of the album name to reveal a list of options. Click on Add to…. Next, either choose to add the song/album to an existing playlist, or create a new playlist. One of the killer feature of Spotify is the ability to share Spotify playlist, your own playlist or other popular playlists created by Spotify. Just right click on the one you want to share and then click on "Share...". Type your friend’s Facebook username if you’ve already linked your Facebook on Spotify. If you haven’t linked your Facebook account, you can also type your friend’s Spotify username. Then, Tap on the "Share"
As we all know, Spotify music or playlist are protected by DRM, so there are many restrictions to enjoy them, especially for the Free users, they can't download Spotify music for offline streaming, and must listen to them with ads, even they upgrade to the Premium plan, they still can’t stream music from Spotify on any device as they want, like extract the MP3 files from Spotify to play on MP3 player, burn to CD for playing in the car. 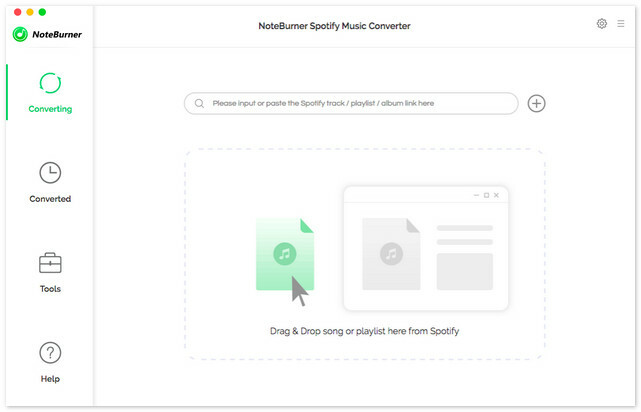 To remove the DRM protection from Spotify music and enjoy Spotify music without limits, you can seek help from NoteBurner Spotify Music Converter, which will perfectly crack the DRM restriction, and convert all your Spotify music and playlists to MP3, AAC, FLAC or WAV for offline streaming. 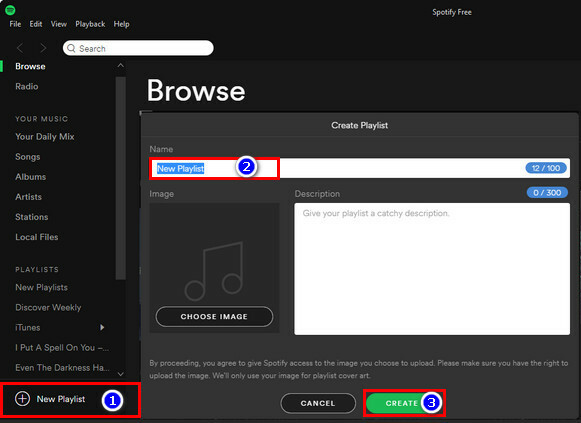 Thus, you can download and save Spotify music on your computer and enjoy them freely.